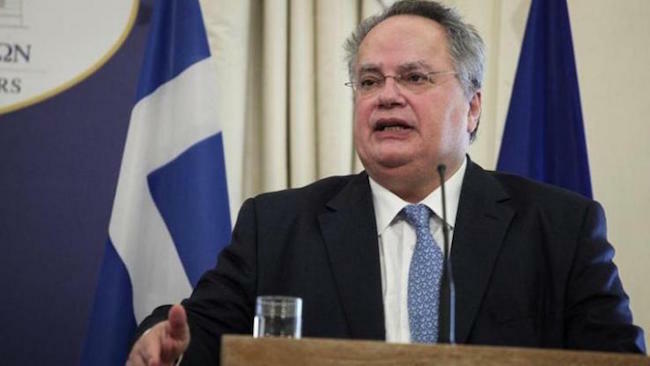 Greek Foreign Minister Nikos Kotzias has accepted a request for Greece to act as a representative for Egypt in Qatar an ekathimerini report says. Egypt, along with Bahrain, Saudi Arabia, United Arab Emirates, Yemen, Libya’s eastern-based government and Maldives severed diplomatic ties with Doha. Qatar is being accused of backing militant groups including Islamic State and al-Qaeda. Doha has denied any links. The Greek minister spoke on the telephone with his Egyptian counterpart, Sameh Shoukry on Monday, and agreed to the request as confirmed by the Greek ministry. “Greece is at the disposal of all the sides, in order to contribute in any way possible to regional cooperation and stability,” the Greek Foreign Ministry said in a statement.